Besides wandering The National Gallery (awesome!!! ), I remembered the exhibit I'd been dying to see, so we headed over to the Museum of the American Indian. 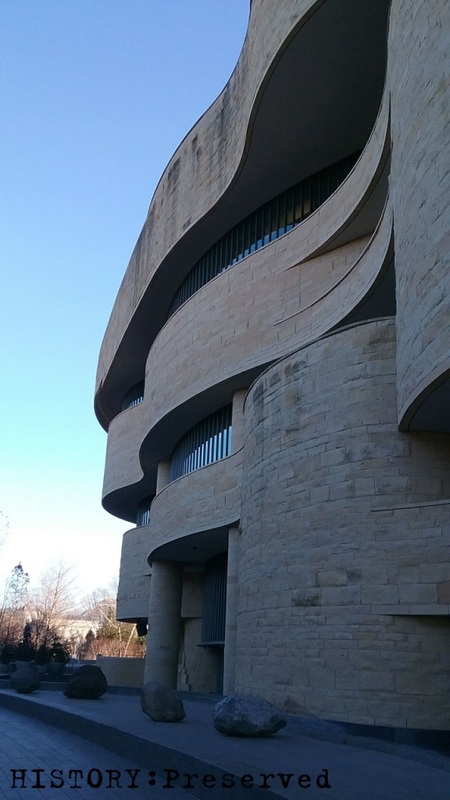 The building itself is really cool, and the exhibits inside all looked really interesting, but I dragged led my husband upstairs to the exhibit I had been waiting for... "Americans." 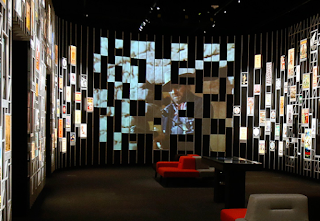 Friends, I can't tell you the last time an exhibit gave me chills. But this one did it the moment I walked in. I was immediately struck with how it looked overall. The room is essentially a black box filled with gray geometric lines. 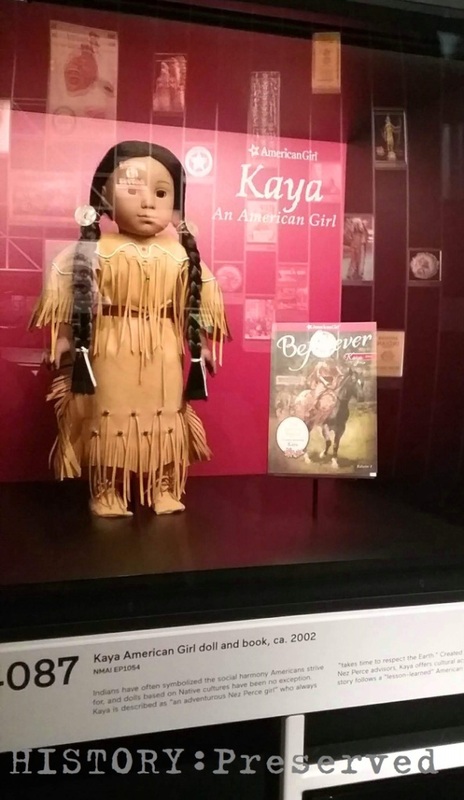 In a single glance, it places the emphasis on the dozens upon dozens of artifacts, artwork and images of American Indians. Movies, sports teams, food packaging, cigars, a motorcycle, dolls, hotels, coins, city names... the list goes on and on and on. It almost looks like a straight-lined jigsaw representing the American culture and all the places images of American Indians fill it in. A large feature is an ongoing reel of soundless movie and TV clips through American entertainment history featuring Indians. What's interesting is that the "screen" has blacked out sections in keeping with the rest of the walls, which I found fascinating. It kind of reminds me of something out of a modern art museum. I'm sad I didn't get my own picture of the movie screen, but you can see the edge of it in the photo below and in the image I found at the museum website. 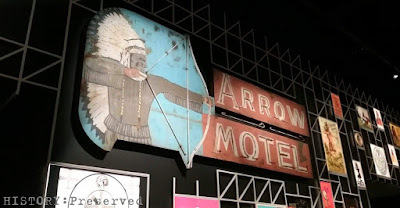 This is an image of the very cool movie screen showing film clips from American cinema and TV featuring American Indians. I love how the screen has missing blocks. The photo comes from the museum website. "Americans" is about the images of American Indians in our culture, how prevalent and how normal it has become. The exhibit goes into the whys of how this came about, what it says about our culture, and our complicated relationship and history as a country with the native people that were already here when the Europeans first set foot on North American soil. 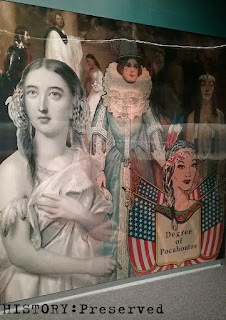 I, myself, have deep-rooted, complicated feelings related to American Indians. 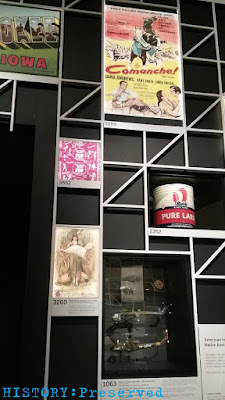 So, going to see this exhibit was important in helping me makes sense of all of that. 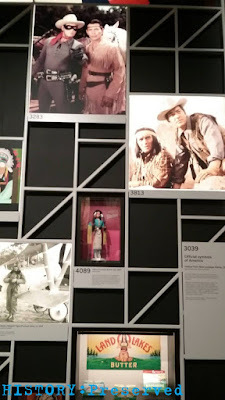 Here's what I took away from my experience: We all have connections to these images, ideas, and conceptions of the American Indian culture - each and every one of us in the United States. You just have to think about it. For me? Right now I have cornmeal in my pantry with an Indian head on the label, my daughter has the American Girl Kaya series on her bookshelf and the stuffed dog belonging to Kaya, I own an Indian head penny, I was born in Indianapolis, Indiana (literally named after the Indians), when I was young my parents took my siblings and me to pow-wows of which I still have fuzzy memories, I visited a motel in Arizona where each room was an individual cement tee-pee, my son is a Boy Scout where American Indian folklore and Indian "dress up" is a huge part of the scout culture, an ancestor of mine (who my dad and I still debate about which one) was part American Indian, and that's just the stuff off the top of my head. The point is - my life, our lives, are surrounded by these images and we probably didn't even realize it or think about it, because it's so commonplace. 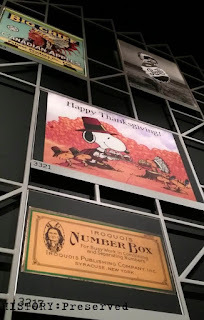 The topics of the first Thanksgiving, Little Big Horn, and Pocahontas were other subjects touched on in the exhibit that have their own perceptions and misconceptions in our culture. 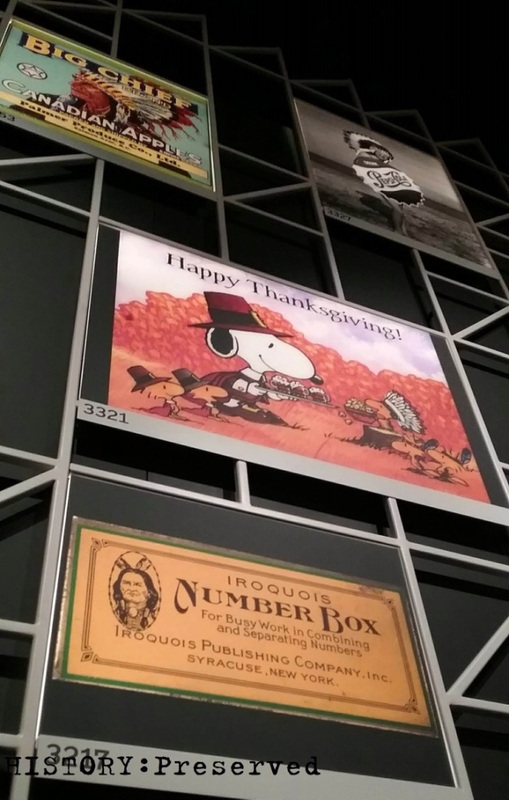 In recent years the original Thanksgiving has been an area of reexamination. 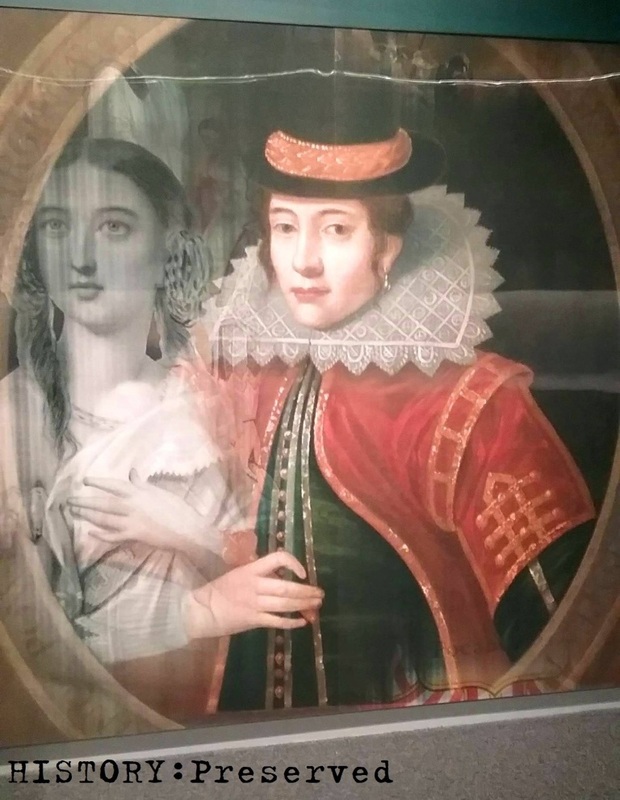 The mini exhibit on Pocahontas was especially fascinating. 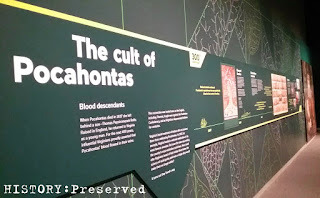 The exhibit talked about how Virginians are very proud of their Pocahontas heritage, and even some of the prominent families proudly touted their blood decendency from her. you shifted from side to side. 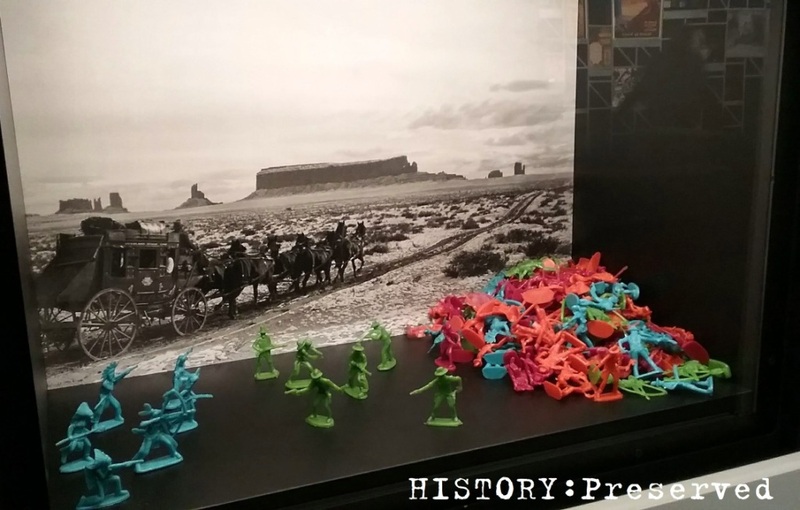 Overall, what I learned is that the biggest thing we need to understand is that while some of our understandings of the multi-faceted American Indian culture are skewed and sometimes downright wrong, it's important that we talk about them, to learn where our ideas went wrong and to do our best to correct them. We can't go back and change history, but we can work to move forward with better understandings and improved respect. One example is sports team names. Sports teams featuring names like "Red Skins", "Blackhawks", and "Braves" have been debated and reconsidered. I think this reexamination of why things are the way they are and if changes need to be made can be good and healthy. Do you spot anyone or anything familiar? This film poster struck me. I didn't know Elvis was in a movie like this, but the theme is similar to my book, The War Between Us, in that my main character, Alex, is torn between his dual identities of being Korean and American. 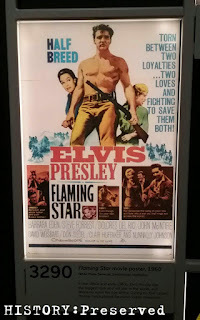 However, this film's obvious prejudice being used as a plot device (I mean, look at the title - "Half Breed"!) leaves a nasty twist in the gut at the reminder of how it used to be in this country. Another side exhibit helps you explore your own perceptions and beliefs about American Indians. 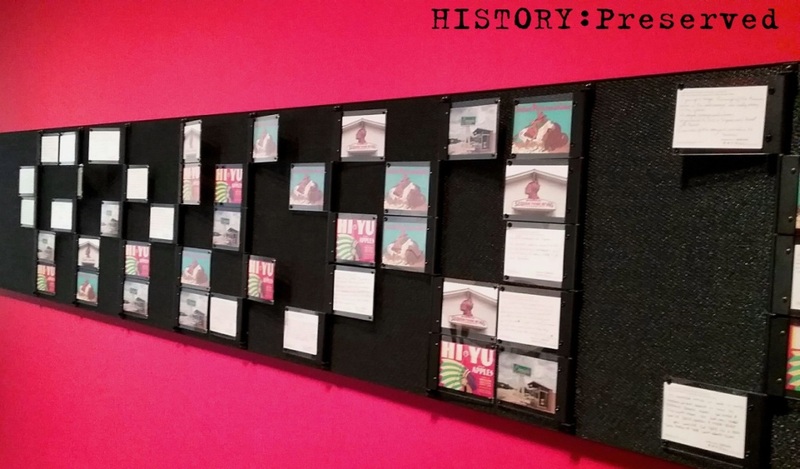 This is a wall of selected post cards left by visitors to the exhibit recording their thoughts and feelings. I filled out a post card myself. 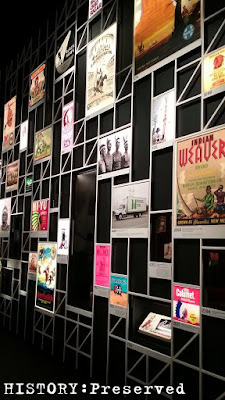 It was hard to put into words everything this exhibit left me feeling. If you haven't been able to tell, this exhibit moved me in a really powerful way. 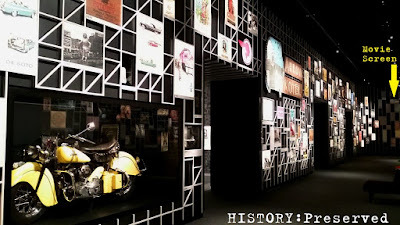 I've been impressed and wowed by exhibits before, but it's rare that I feel this way - to the point where it's hard to describe how incredible it was, perhaps because I have such a personal connection to it. I can easily say that this exhibit is very important for every American to see and experience. If you're heading into Washington DC anytime in the near future, I really encourage you to visit this fantastic exhibit, "Americans", where you can discover and analyze your own place in this aspect of our American culture.